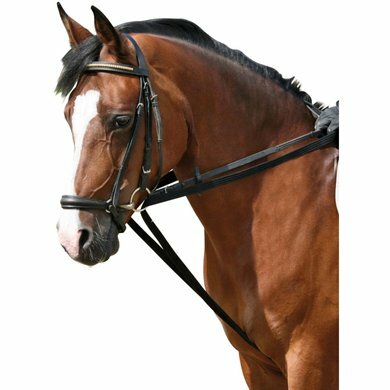 Cotton web draw reins made of good leather quality with hooks on the end of reins for faster mounting at the extra loop. Fine rein, in the beginning a bit stiff. Good length in size full. I use the rein for long rein work. 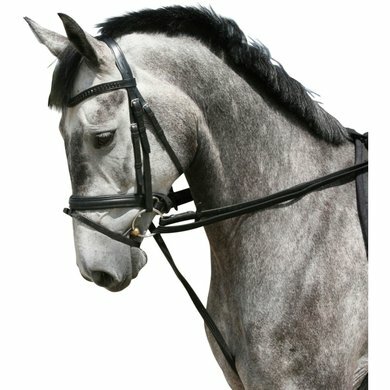 Rein is fine, but very stiff. It takes some time before the rein is comfortable in the hand. this cloak is including loose loop for the girth. Question: is this a leather groove? Answer: This cloak is made of webband.